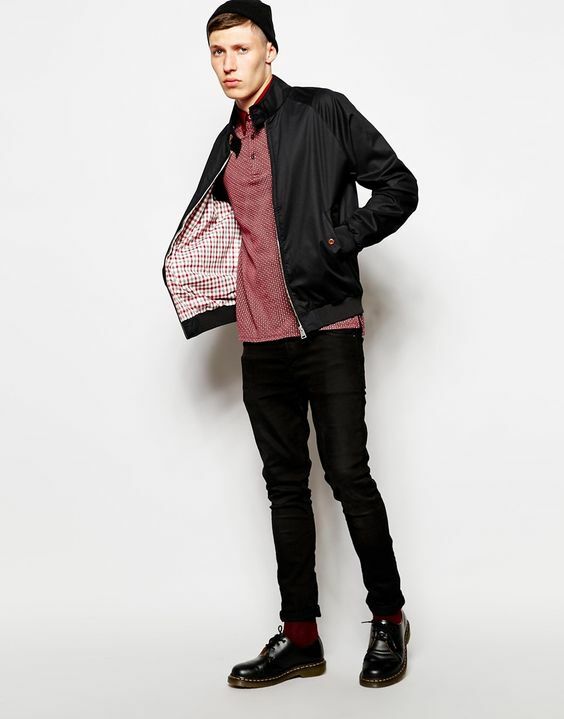 The Black Harrington Jacket Style Guide – It is edgy, stylish and has all the making of a show stopper. Invented in 1937 by John and Isaac Miller the founders of Baracuta from Manchester the Baracuta G9 as it was called back then was worn by the actor Ryan O’Neal when he essayed the role of Rodney Harrington in the TV series Peyton Place. The name stuck and rest as they say is history. 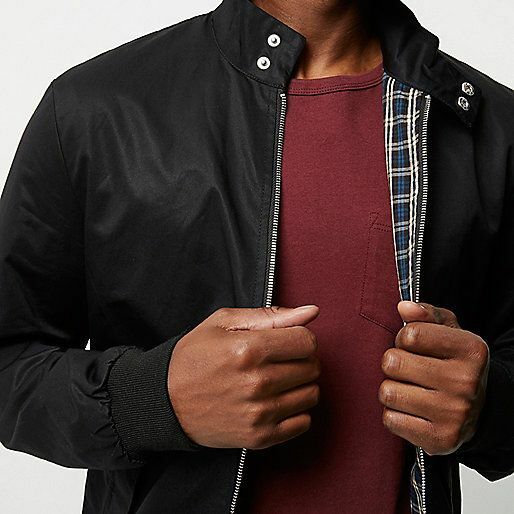 A Harrington jacket is light weight, waist length with elastic cuffs at the waist and wrists, raglan sleeves, tartan lining, stand up collar and slant pockets fastened by buttons. It is available in many fabrics and colors. But today we are going to concentrate on the colors or rather one particular color i.e. Black. How to style a Black Harrington Jacket? A Black Harrington Jacket is edgy, stylish and has all the making of a show stopper. Have fun wearing the Black Harrington Jacket!